Year 6 maths will include new work and revision of earlier topics. Children should be working on three-step problems now, using addition, subtraction, multiplication and division. They are encouraged to work independently, deciding themselves on the best method of solving a problem, and then estimating their results and checking to see if they are correct. Revision will help to prepare them for KS2 SATs and secondary school – if they do not have a grasp of certain mathematical methods now, children struggle to move on to the next step. Maths is taught through mental, practical and written lessons, and where possible, the children are shown how it links to other areas of the curriculum, such as science or ICT, as well as everyday life. To help put your child's learning into practice look through our year 6 maths worksheets and activities and play some year 6 maths games. 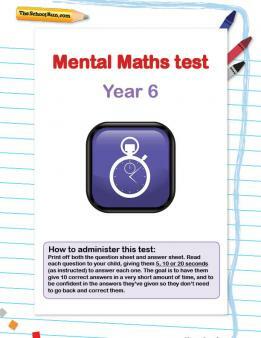 You can also download a Y6 mental maths mini-test. 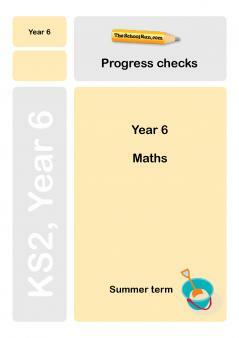 Check your Y6 child's progress in maths with our free Y6 maths Progress checks, three mini-tests for the autumn, spring and summer terms.